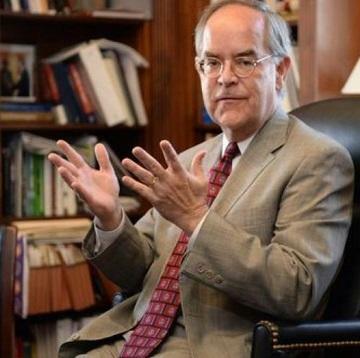 NASHVILLE, Tenn. (WMOT) -- Tennessee Congressional Rep. Jim Cooper has again this year filed a bill he believes would end the practice of gerrymandering. The phrase refers to lawmakers creating congressional districts that include a majority of voters from their party, all but guaranteeing they’ll retain control of those congressional seats. Cooper has been introducing the same bill for years, but it isn’t likely to fare any better this legislative season than in past sessions. The Nashville Democrat says politicians may have a love-hate relationship with gerrymandering, but political scientists see it differently. Cooper would like to see the bill become law before the next round of redistricting begins following the 2020 Census. Cooper could get some help from the United States Supreme Court. The Washington Post reports that court cases against gerrymandering in Florida, Wisconsin and North Carolina have all percolated up through the appeals process and so may force the high court to take stand on the practice this year. Ever wondered why Tennessee's Congressional Districts are so oddly shaped? Gerrymandering is the likely answer.